Rowans North London Bowling League and Competitions. Where strikes win you prizes and friends. 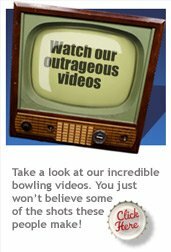 Rowans Bowling Leagues are a brilliant night out to meet new faces, enjoy yourself and keep active and fit all at the same time! More and more people of all ages are getting into bowling as a fabulous social sport to stay healthy, work on that waistline and strike up new relationships as well as scoring those strikes on the lanes. Tuesday nights mean Singles Bowling Leagues, with fabulous weekly prize competitions that are always keenly contested. Or start by trying out your skills for fun and watch your game improve week by week. You’ll be hooked before you know it! Discounted bowling is also available at off-peak times to get you into the swing and novice bowlers are always welcome in our leagues. Better players are handicapped for fairness in certain friendly leagues. Just turn up after 7pm, register your name and bowl until you are brilliant! 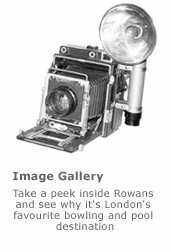 No wonder Rowans is always in a bowling league of its own in North London.